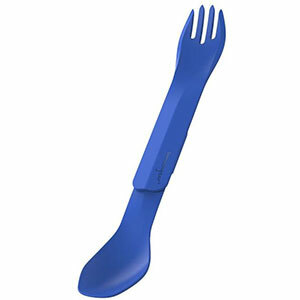 After several breakages of the plastic Light My Fire spork, I decided to try the new GoBites Uno. Human Gear took the idea and improved on it. 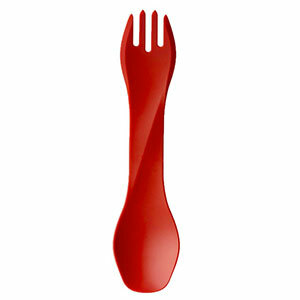 I know most people who have used the Light My Fire Spork have had to deal with breakage. It is a nice design, but just not durable. 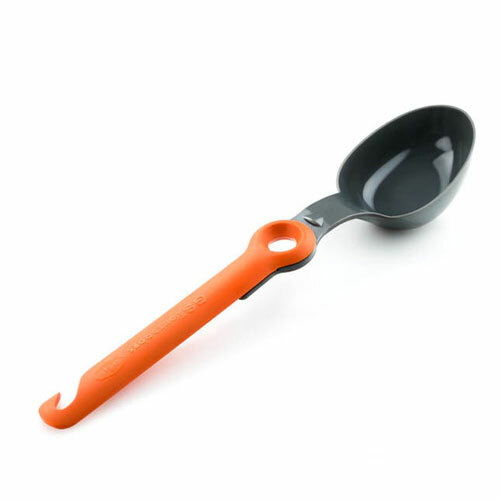 Durability is key with this spork. As you can see by the photos below, I used roughly the same amount of pressure on the Uno as I did the LMF. 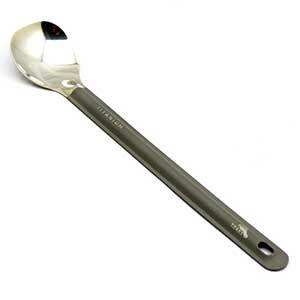 The Uno barely moved, the LMF spork flattened out and could have been pulled around and snapped with the same force. 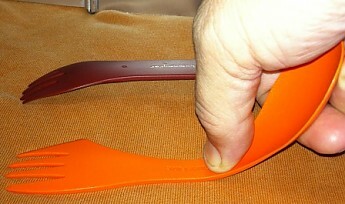 I also found the curves on the Uno to be much more comfortable. 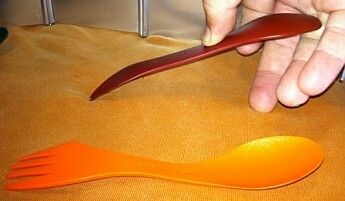 The other thing I like about the GoBites Uno and Duo is the straighter edges on the tip and the sides of the spoon. It allowed you to clean the edges and the bottom of the pot much more efficiently. It also has smooth edges on the fork side so that solves the issues for people who hate the serrations. In conclusion, if you like the Light My Fire spork, hate the breakage, and don't mind an extra 5 grams, try the GoBites Uno. You will be happy with it. 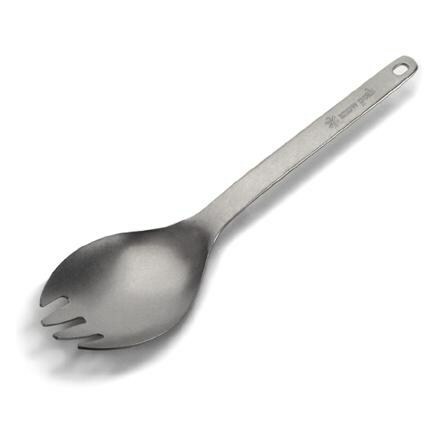 For the Gram Weenies, you could likely drill holes in the Uno and still have a much more durable utensil than the LMF spork. This thing is solid. The humangear GoBites Uno is not available from the stores we monitor. 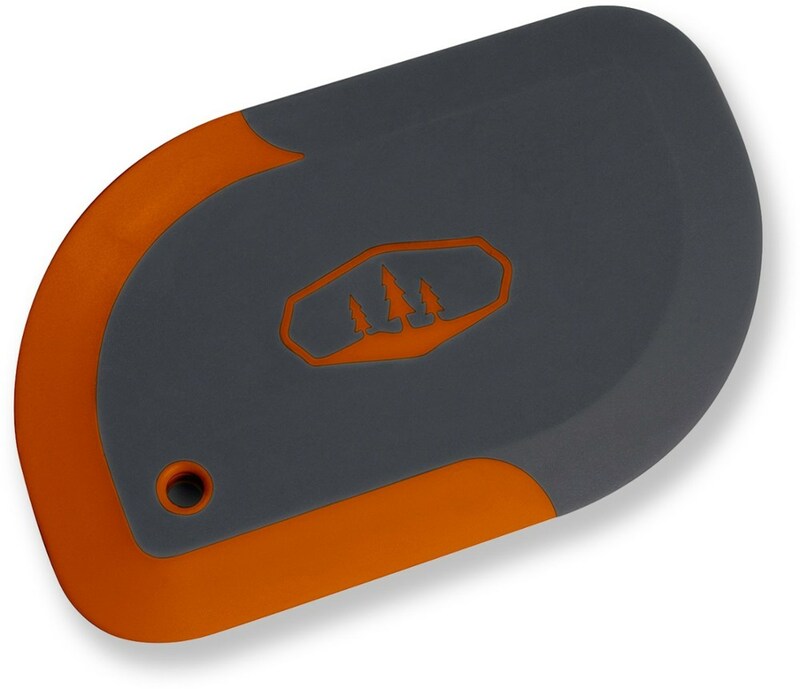 It was last seen March 19, 2019	at CampSaver.com.